Yandex is the most famous search engine which is used in Russia and it has nearly 62% of the market share. Apart from Russia, it also gets increased popularity in the countries like Ukraine, Poland, Turkey, Kazakhstan and Belarus. Even though, Google is the world’s famous stakeholder, you need to optimize for the Yandex when you have marketing in Russia. After you have optimized your website for the Yandex, you need to check the rank for its popularity and the traffic details. For this purpose, the variety of tools available and therefore, you can use them for availing the best benefits. Let’s see the different types of the keyword ranking tool in the most effective manner. 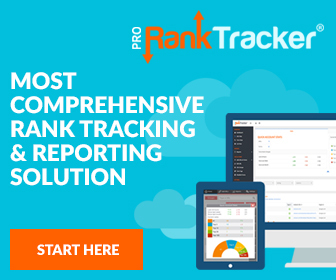 The first and foremost tool for ranking is the ProRank Tracker and it can be offered with the different kinds of plans with the variety of keywords. Domains are also provided as per the plan you have selected. It is offered the different plans like as follows. The second one is the GinzaMetrics and it is offered with the premium and the professional plans. Furthermore, they can provide the unlimited domains for the users. Link Assistant is getting the third place in the keyword ranking tool and it is available with the free, pro and the enterprise plans. However, they can offer the service for the unlimited keywords and the domains. Then, the Positionly is the fourth major tool in the ranking tool and it can be offered with the plans like basic, medium standard, agency and platinum. Each of these plans has the variety of the specifications. RankRanger is the fifth most famous ranking tool which can be offered for 20 to 40 domains. As well as, it is available with the standard and the premium plans. Besides, some other keyword ranking tools are also offered for the users to find in the Yandex search engine. As the way, the Rank Sonic is the one that can be offered with the plans like premium, minimal, optimal and the ultimate. Furthermore, they can only be offered for the specified range of the domains only. In addition to that, the RankWatch is one of the ranking tools that are offered with the plans like as Medium, Large and XL. All of these plans can provide the services for unlimited domains. Then, the TopVisor is also the rank checker and it can also provide with the Small, Medium and the large plans. These plans have the variety of specification in checking the ranks. Finally, the SemRush and the WebCEO ranking tool can also be the famous one and it is available with the plans like as the Free, start up, corporate and the agency fixed. However, these plans have the varied measurement and so you can use them in the Yandex. However, all of these keyword ranking tools that are available in the link as https://www.keyword-reporter.com/top-10-Yandex-keyword-ranking-tool/ are often used for checking the ranks in the Yandex search engine.